Australia’s Asian Cup campaign is back on track after a comfortable win over Palestine in Dubai. 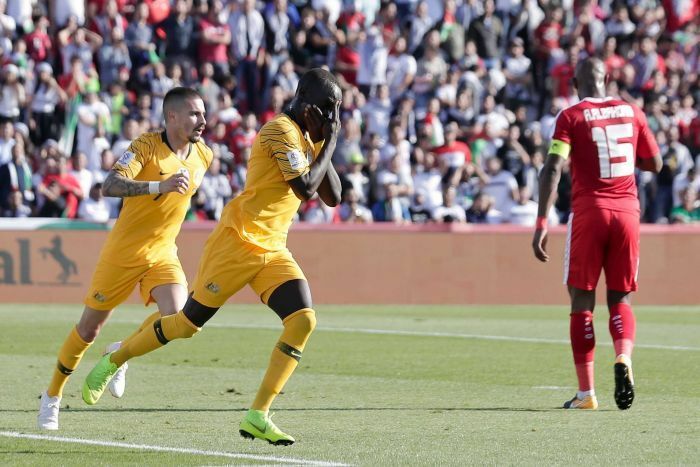 The Socceroos, beaten 1-0 by Jordan in their opening match, secured a 3-0 victory over a limited Palestine outfit to move into second in the group. 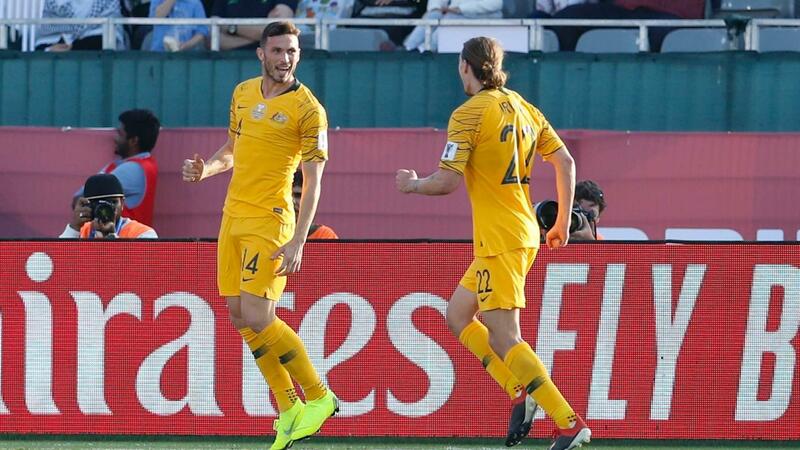 Jamie Maclaren’s first goal for the Socceroos in the 18th minute and a strike by Awer Mabil two minutes later gave Australia a 2-0 half-time lead before substitute Apostolos Giannou sealed the win in injury time in the second half. 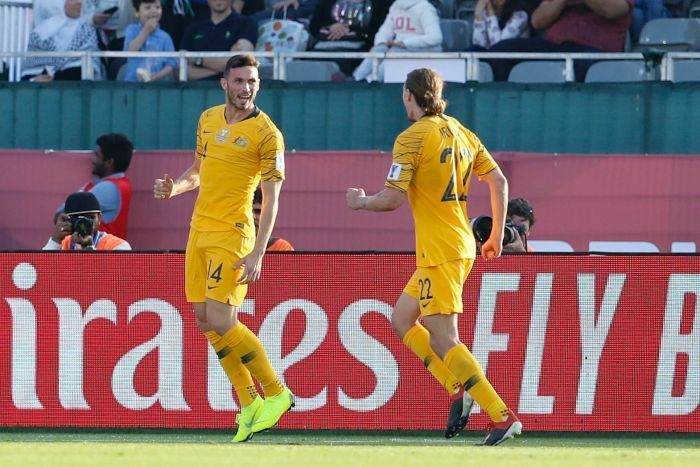 The victory means a point against Syria in their final group match in Al Ain on Tuesday will be enough to put the Socceroos into the competition’s knockout stages. Maclaren, who had an air-swing inside the box in the game’s early stages, broke his duck for Australia in his 10th appearance for the national team to open the scoring. The Hibernian striker’s angled header found the far corner of the net after a good cross by Tom Rogic. The only blemish for Australia was a late yellow card for defender Trent Sainsbury for time-wasting, which rules him out of the Syria game due to suspension. Palestine’s final group match will be against group leaders Jordan in Abu Dhabi on Tuesday.